← Baked Chicken Nuggets – For the kid in us all! Last night, Luke and I took advantage of the gorgeous weather and had dinner on the patio at our favorite restaurant in Manchester, Republic Cafe. 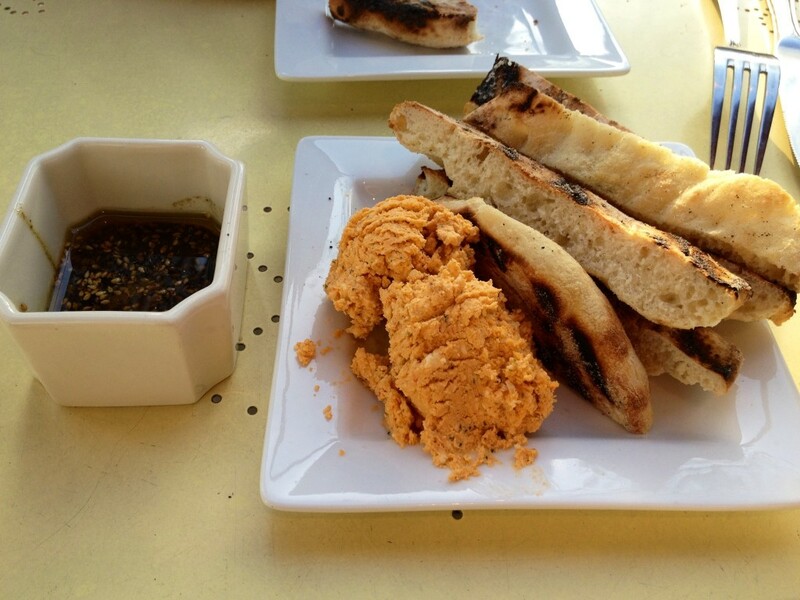 We started off with the Whipped Fresh Spicy Feta Dip and pita bread – delicious as usual. For our entrees, we both had specials. I had the Albacore Tuna and Luke had the Ramp Pasta. 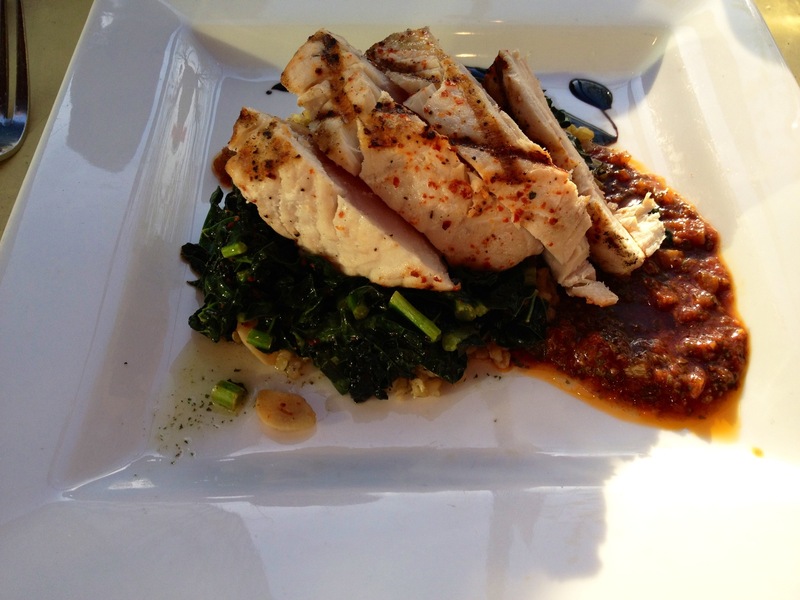 The tuna had a delicious sauce and came with some tasty sautéed kale and a grain I had never tried before (I forgot what it was called!). 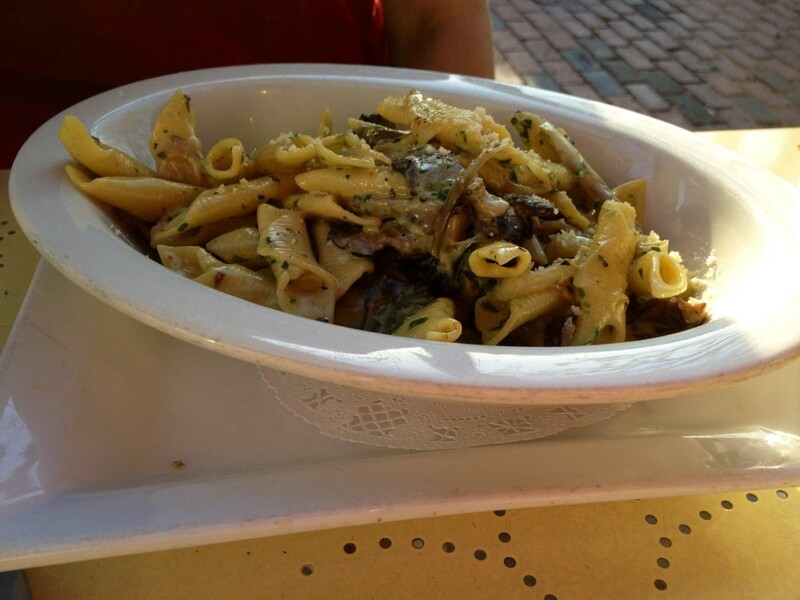 The ramp pasta had a nice cream sauce and was topped with hedgehog mushrooms and ramps. Have you ever tried a ramp? We hadn’t! Apparently, they’re wild leeks. They have a very garlicky flavor. I googled them and Time Magazine recently published an article saying that they are the new trend for foodies. I’ll definitely be eating them again – give them a try if you see them, they’re pretty fun! For breakfast this morning, I had a fabulous new overnight oat concoction: Banana Bread Overnight Oats! It was my first time making overnight oats in a mason jar too! These were so good. I’ll be posting the recipe soon, once I get all the exact measurements (I wasn’t really measuring when I made them last night). I’ll try to get some more appetizing pictures too :). This morning, I also finally finished reading the book club pick for Peanut Butter Finger’s April Book Club. 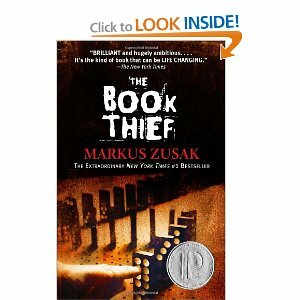 This month’s pick was The Book Thief by Markus Zusak. The book is set in Germany during World War II and it tells the story of Liesel, a young foster girl. 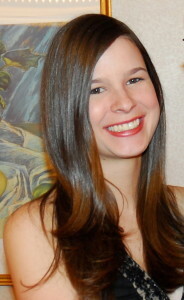 At a young age, her six year old brother is killed and she is taken away from her mother and sent to live with her foster parents, Hans and Rosa. She arrives at her new home having just stolen her first book, The Gravedigger’s Handbook. With her foster father’s help, she learns to read and becomes entranced by the power of words. She uses the book to escape from her nightmares. Eventually, she steals more books and is given the name “the book thief” by her closest friend, Rudy. The many books she steals take her through all of the bombings and tragedies that happen in her young life. One of the most notable parts of the book is that a young Jewish man comes and lives in the basement of her house (in hiding). She develops a friendship with him and their relationship becomes an integral part of the story. To be honest, I didn’t love the book. I think part of the reason that I didn’t was simply that I was in the mood to read a light-hearted page turner and this was certainly not that. The book is narrated by death, after all. It’s definitely an emotional book that takes you into Nazi Germany and makes you think. I also found the author’s writing style to be very strange and a bit hard to follow at times. Many people widely praise him for it in reviews, but for me it was confusing. I think the writing also contributed to my finding the book a very slow read. Overall, I thought it was a good book, but not great and not something I’d want to read on the beach. It presents a unique perspective on World War II and Nazi Germany. If you’re into historical books, I’d give it a try. I think I’ll be taking a break from this genre of the book world and going back to reading a Dystopian novel next :). This entry was posted in Books, Overnight Oats, Restaurants and tagged books, overnight oats, restaurants. Bookmark the permalink. I loved the Book Thief – my students are reading it for their communication arts class right now and I’m so jealous that they get to read that type of book for school. I sure didn’t when I was in school! It’s funny you say that because when I finished it, I was thinking that it would be a great book for middle school or high school students to read for class. Definitely an interesting historical read! 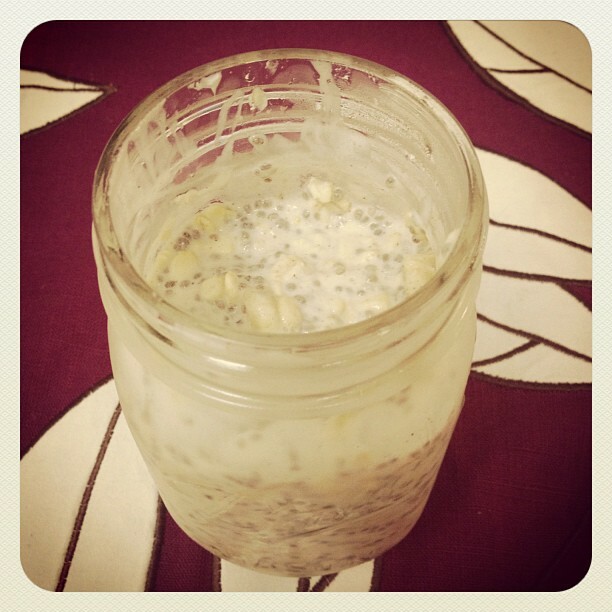 Banana bread overnight oats sound amazing! I know what you mean about books. You definitely have to be in a mood to read a heavy book. We have had a lot of heavy reads lately in book club. I haven’t really been reading lately though anyway cause of school. thanks so much for participating in the book club! 🙂 can’t wait to include your link. i loved your review and can see how you found it slow-moving. i liked the book a lot, but didn’t think it was a “page turner.” definitely more of an emotional read than a suspenseful one. Thanks for including me! I just started reading Delirium for a change of pace – I think it’s going to be more suspenseful!